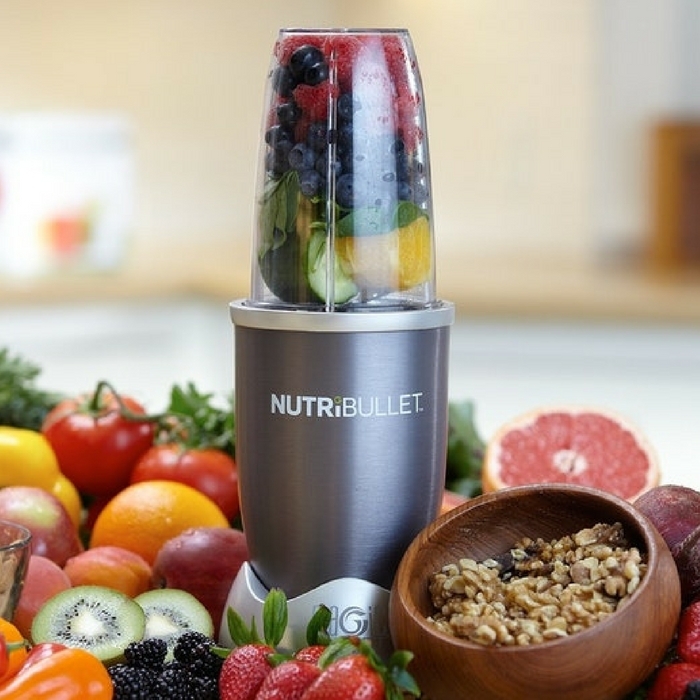 NutriBullet 600-Watt Blender Just $47.27! Down From $90! You are here: Home / Instagram / NutriBullet 600-Watt Blender Just $47.27! Down From $90! Until 4/8/18! This NutriBullet 600-Watt Blender is now offered at Macy’s for just $47.27 down from $90! PLUS, you can choose for FREE store pick up or FREE shipping for orders $99 or more! Take the first step towards healthy eating. NutriBullet breaks down ingredients into their finest and most nutritious state. With the NutriBullet 600-Watt Blender, you can make delicious drinks, smoothies, and nutrient-rich dishes as it cracks through stems, shred tough skins, and breaks down even the toughest food to unlock the vital nutrition inside. Leaving the skins on let your body absorb all the nutrition out of the fruits, vegetables, nuts, and more. The NutriBullet 600-Watt Blender uses a powerful motor with an incredible sharp and precise blade system, combining juicing and processing into one easy step. It also comes with a separate milling blade for grinding dry ingredients like oats, nuts, and spices. Make your row food more portable. The NutriBullet 600-Watt Blender is easy to have anywhere, anytime!